Ah, let me Splain about these Movies… Not to Justify, just to Splain. First of all, I’m not one of those guys that just watches Action Flicks… No, far from it… Jean Claude Von Who?? And Steven Seagal, Arghhh The Worst Actor… Or at least one of them. He’s like an Italian Cook at a really low grade Italian Restaurant, who likes to put on a Clint Eastwood Accent ALL THE TIME!! And not a good one either. 1) Crouching Tiger, Hidden Dragon – Don’t know if you’ve seen it, in fact I own it, but don’t watch it a lot, because it has a pretty sad ending… As many old “Chinese” Myth Films do. The Reasons I like this Film are plenty though. The Main Young Actress ( Ziyi Zhang) is Extraordinary, you should basically see her in anything she does. I think of her as a “dark” genius. In this film, she is very much like someone that needs “Lithium”… If you watch her performance, she just looks darkly conflicted, and just can’t quite pull herself out of it. The actress herself had studied many years of dance, which enabled her to do some Amazing things on the “Wires” that they use in the film. Also, when I wrote My Screenplay “White Jade”, she is the Actress I had in mind for the “Nyoko” Character. Nyoko is Japanese, and this actress is Chinese, but to a degree, Asians often play Characters from Countries they aren’t. And she ended up playing a Japanese in “The Last Geisha”. I didn’t care for that Film all that much, but there were some Amazing Actors in it. If you don’t see “Crouching Tiger, Hidden Dragon” for anything else, see it for her Performance… Definitely. Oh, and you have to see it 1000% in Chinese with Subtitles… The English Dubbing Version is absolutely Wretched… I was fortunate enough to have seen it in Chinese first… I can’t even watch it the other way… I feel so bad it was that way in theaters I think? Not sure. Only then will you see her “Dark” inner struggle… With bad English Dubbing, it just comes of as Cheesy Melodrama, which it is not. This Film is a Blend of Old Chinese Sword Fighter Heroes Tales, which the Director (Ang Lee) had grown up with, and Romance… So to a degree, he was Creating his own thing. The Screenplay Writer/Co-Producer (James Schamus/Co-Writer/Executive Producer) is very much American, and has a Knack for Romance. The two make a cool team. Don’t even bother seeing it if it’s dubbed, but do see it. If you haven’t that is. 3) Bruce Lee “Enter The Dragon” – Well, Bruce Lee is more of a Complicated thing for me… I’m more of a Bruce Lee Fan, than I am a Bruce Lee Film Fan. His Movies are ok, but he, to me, is Extraordinary. I’ve never seen anyone in my life move like him… No one. And so that, and his “Philosophy” about Life, are the reasons he’s one of my Greatest Heroes. Generally I can’t really sit through his movies, Lol But I do watch scenes from time to time, just to see him move. 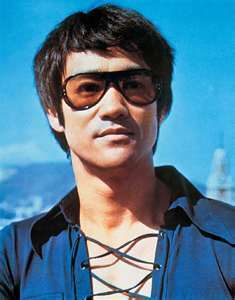 I Actually did a Post about him a bit back “Bruce Lee – The Dragon” which gives a better insight as to what Bruce Lee means to me. 4) Hero – If you haven’t seen Hero, see it… The whole thing is like a Painting of Colors… The Fight Scenes are Pretty Amazing, but beyond that, the Use of Colors is Extraordinary, and there are some Really Good Actors in it, including the girl from “Crouching Tiger, Hidden Dragon”. But her character isn’t a big part, it’s just okay. The Character that makes this Film worth watching, beyond the Visual Display of the Cinematographer and Director is, the Character called “Broken Sword”(Tony Leung Chiu Wai)… He is Extraordinary. One of the Coolest parts of the Film is Three People tell their version of what happened at different parts, and Each Version Told is done in a Different Color… Meaning, they’re either all wearing Red, all wearing White, or all Wearing Green, depending on whose telling their version. It’s Beautifully Epic Visually. Can’t remember if I saw it with Sub Titles or not. For me, Sub Titles disappear in my head pretty quickly, and I forget I’m reading… I prefer Film’s Native Language if I can help it. Less is lost. Jonan sits on an Emergency Room Bed, shirt off, his Right Shoulder Bandaged from the Bullet Wound he received some three hours earlier. Paul his Chauffeur walks in with an N.Y.P.D Detective. “Boss… This is Detective Harris” Detective Harris comes in and shakes Jonan’s left hand. “We’ll have you come down to the station tomorrow morning to get a full statement from you, so that you can get some rest…” Detective Harris explains. “From what we can ascertain, three masked men with guns broke in to Miss William’s House, and you disarmed two of them, and knocked all three of them unconscious” Jonan nods. “Does that about cover it?” he asks. “Yeah… That about covers it… But Paul Distracted the third” Jonan replies. “The one you hit with the Pan…” the Detective states. “Yeah… That would be the one” Jonan confirms. “Alright well, we’ll see you down at the station tomorrow morning, appreciate your cooperation” The Detective walks away, then turns back. “What was it… Kung Fu or somethen?” he asks Jonan, meanwhile Paul smiles slightly. “Jeet Kune Do” Jonan replied. 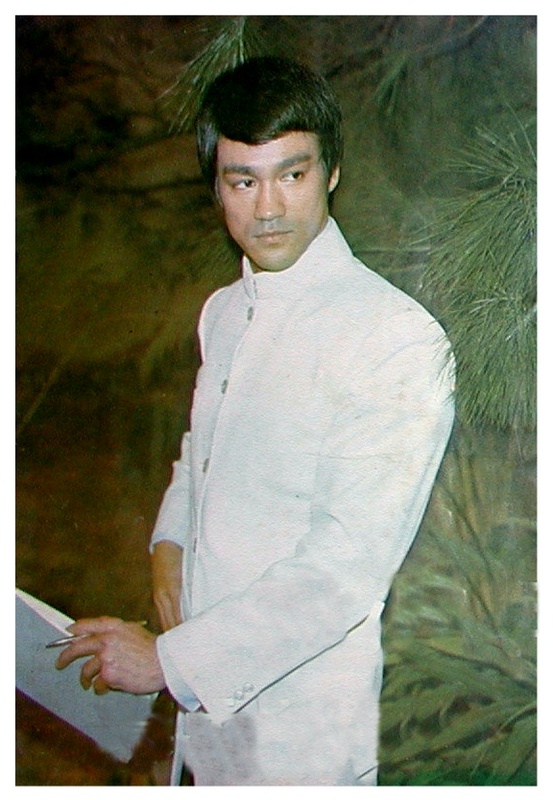 “Ah yeah… Bruce Lee Right… Be Like Water…” The Detective smiled, and walked away. “Woe Woe Woe The Shoulder” he responded. “Yeah I’m alright… Are you alright?” he questioned. “Yeah… But–” she starts to say and Jonan looks at Marin. “How about you… Are you alright?” he asks her. With this Marin wiggles her way out of her Mom’s arms, and wraps around Jonan who winces in pain. “Easy Baby, he’s injured” Allissa says as she half effortly tries to get Marin back, but Jonan nods her off. “It’s alright, it’s just a scratch, the bullet went right in and out again, I won’t be 100% with that arm for a while, but I shall recover…” he replies. “Paul can you take Marin to the Candy Machine for a moment” Jonan speaks. “Sure Boss” the large Paul responds, takes Marin’s hand, and they walk away. “So… You wanta tell me why those three guys came to take your Little Girl?” questions Jonan. Allissa sits down next to the E.R. bed “Well, I knew that Anton was involved with drugs somehow, but now I’m starting to think he may have taken some of a drug lords goods, and has been trying to sell them himself” she explains. “And now he’s in jail, so the Drug Lord was trying to take his kid to hold her for ransom until he revealed the whereabouts of the drugs” Jonan replies. “Alright, well, until this all blows over… I want you to stay at my Beach Home in the Hamtons with Paul and I” Jonan insists. “Oh Jonan, I could never ask–” she starts, but is interrupted. “I insist… Just for a little while, or until The Police figure this out” he puts his hand on hers. “Please Allissa… Let me do this for you” he finishes, and she nods in ok.
Paul and Marin return, Marin holding Candy. “Paul, I want you to take these two back to their house to grab some things, and then come back for me, and we’ll all head out to the Beach Home… They’re going to be staying with us for the time being” Jonan explains. “Right O Boss” Paul, Allissa and Marin then leave, but Marin runs back in and gives Jonan a hand full of Candies, and runs back out. “26 years of nothing… And now this” speaks Jonan under his breath, and then throws the candies all in his mouth. 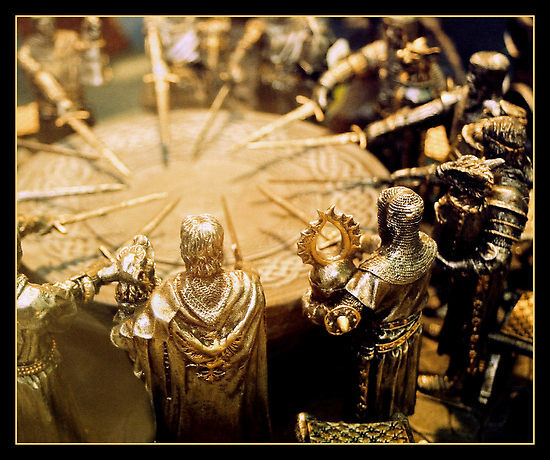 At the Top of the Tower a room lit by torches, with a Large Black Circular Table in the Middle of it. 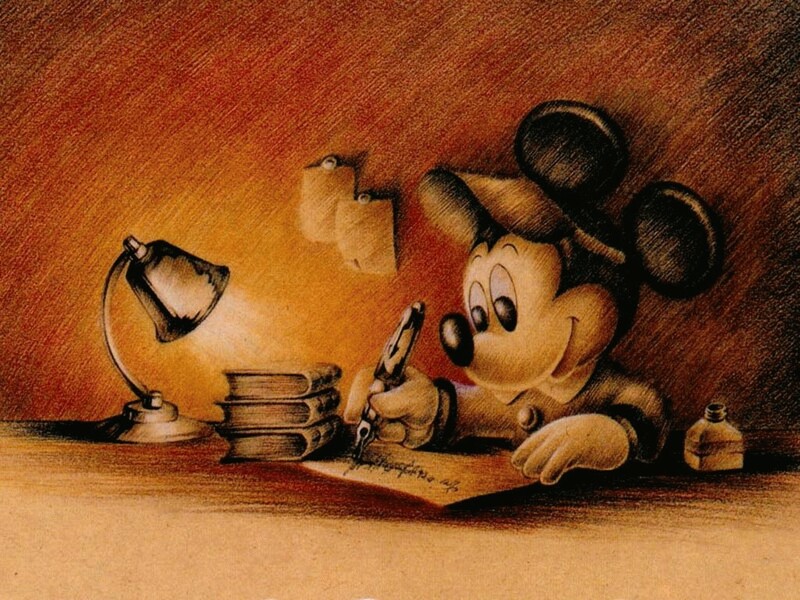 The First, a Well Known Mouse… By the name of Mickey. As he Awaits the “Dark Haired Man”, he scribbles away on a piece of paper… Most contently, Hope Gleaming from his Eyes. And “What is Light… Without… Darkness”. “Life Moves Pretty Fast… If you Don’t Stop and Look Around once in a while… You could miss it”. When the “Dark Haired” man… In the “Long Black Trench Coat” finally entered the room… There Grew a hush. “Uh… But Sir–” Mickey tried to speak in his all too familiar Squeaky Tone. “I don’t wanta hear about it Mickey… If this “John Carter” thing has any actual Merit to it, My People will shoot off an Apologetic E-mail in your General Direction… Until then” the Dark Haired one finished. And then he looked to Ferris “Ferris… Glad to see you’re back… Enjoyed the Honda Commercial… Keep it up” Ferris smiled slightly, hitting himself on his own shoulder to indicate how proud he is of himself. He then starts to stand “May I leave then? 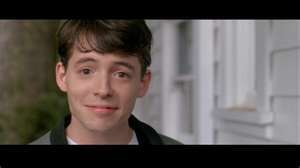 I–” Ferris starts to say, but is interrupted. “No Ferris…” The Dark Haired Man interrupts. “But I–” he tries again. Ferris settles back into his seat, and whips out his Black Berry. 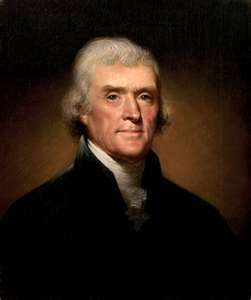 The Dark Haired Man then looks at President Jefferson “Always nice to see you Sir… Thank you for coming… Just knowing you’re out there still… Within our People… The Very Fabric of Our Nation… Well… What else can I say but… Thank you Sir” The Dark Haired man conveys. “No problem Son… Do you think perhaps you could light a fire or something” with this Old Ben waves his hand, and a Fire Lights within the Fireplace. “George… Alec… Thank you so much for coming… George… 3D Star Wars? Really? ?” he speaks to George. 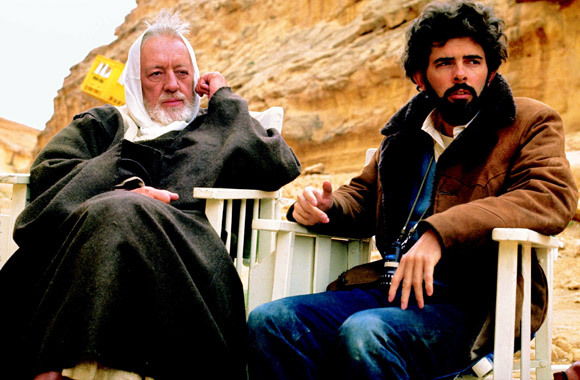 “And Alec… What can I say… The more years that go by, the more I realize that you were indeed the other backbone of the Original Star Wars… Which in turn Created, and Instilled a whole New Sense of Myth and Wonderment into our Society… Well done sir” The Dark Haired man expressed. He then looks to Bruce Lee. “Bruce… First of all, let me tell you how sad I was when Brandon was taken from our world… He was a simply Amazing young man, and he is missed” with this Bruce simply nods back. “You have Lit the Fire within me, and thousands more like me… You are the Epitome of Strength, and Perseverance… And I thank you” Bruce nods again. The Dark Haired man then pulls out his Old Antique Stop watch, which is on a Silver Chain. 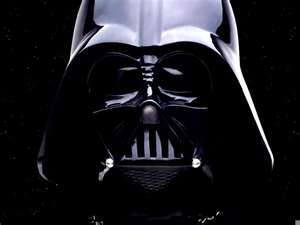 I’m afraid I don’t have much time… “Darth… Just keep on being yourself… People seem to like it…”. “And Captain A, good to see you in what appears to be a couple Decent Film Productions… I suspect it would take an 8 year old kid to truly understand why you are one of my Heroes… But that’s alright… There’s always New 8 Year Old Kids about”. And the Tower Simply Turned into a Blue Glowing Light within the Darkness… And then Faded… Leaving only the Beginnings of a Cold Winter Storm. 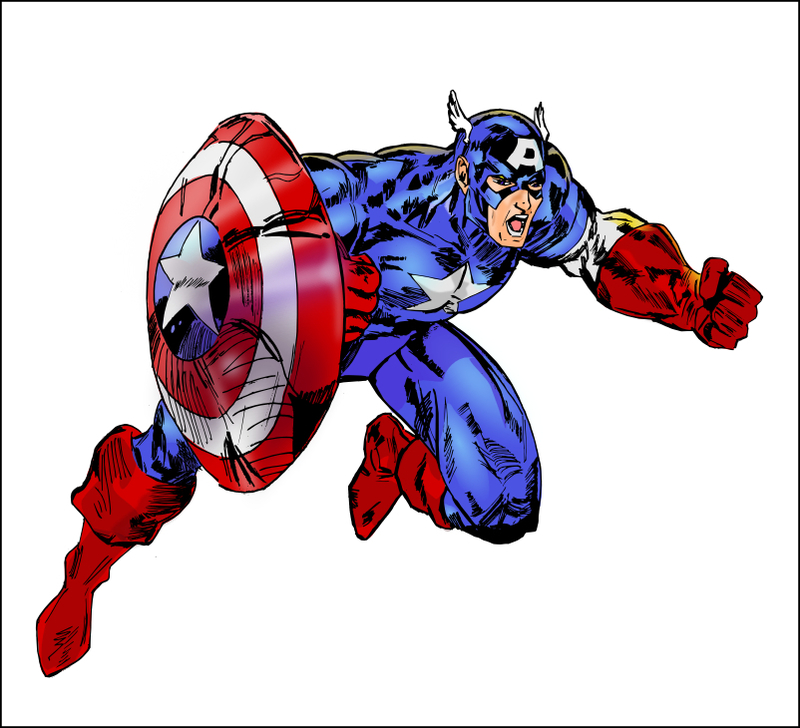 Since I’ve started my Blogging in the Middle of August this year, I have mentioned a hand full of my Personal Heroes… My Primary ones being, Walt Disney, Bruce Lee and Captain America… Followed closely by George Lucas… And later came Gary Gygax and John Hughes. The Links above will lead you to Posts I’ve done where I made mention of these Heroes, and what they meant to me. When throwing a Punch it’s like his Fist Reachs into another Dimension, where he draws forth a Peach, pulls it back to his own dimension, takes a bite, smiles at it’s sweetness, and still finds time to Kick his Opponent’s A$$! The guy was a Walking, Breathing Legend. 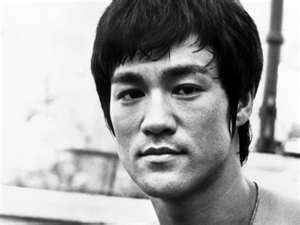 And I can truly say, he is a Human Being that I actually would have liked to meet… Or at least be in a room with him as he discussed his Fighting Method, and/or The Meaning of Life… Both Subjects when spoken by Bruce Lee, are Equally Captivating, and potentially Life Changing. Do you know anyone who could look that Cool in Orange Lensed Glasses?? I don’t think so. 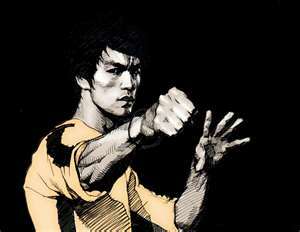 I’ll tell you one thing about Bruce Lee… The Dude didn’t need a Weapon… He was a Weapon. Okay… Okay… So maybe an Additional Weapon comes in handy when you’re Fighting 30 Guys at once… But I still say, Bruce Lee… Is the True Weapon.